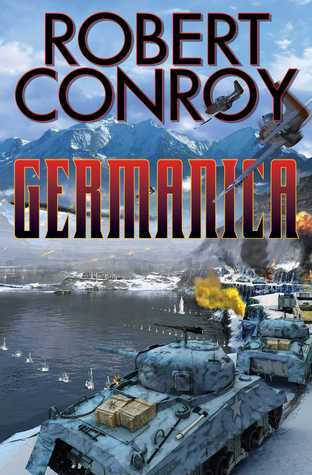 This final alternate history novel from the now deceased Robert Conroy is built around the Third Reich having a National Redoubt at the end of World War II. The idea (as actually proposed by Heinrich Himmler but rejected by Hitler in real world history) was for an Alpine Fortress to be constructed in an area encompassing southern Bavaria and western Austria, so that if the tides of war went against the Nazis, then the government and armed forces could retreat there and attempt to hold out against all comers until a resurgence of National Socialism could take place. And as a theme for an alternate history novel, this really held a lot of promise. The action starts right away with Hitler dispatching Josef Goebbels, numerous Nazi zealots, and German military forces (mainly SS-type troops) to the National Redoubt after the Battle of the Bulge. With the Russian advance growing closer to Berlin and plans already in place for Nazis to begin committing suicide, Goebbels is delighted to be sent away to keep the flame of National Socialism burning brightly. Meanwhile, the Allies immediately become aware of the unusual movement of troops and material away from the north and into the Alps. This activity setting off alarms with Dwight Eisenhower, who realizes that he must change tactics to keep the Nazis from actually bunkering down in the Alps, where their removal would be terribly difficult and horribly expensive in casualties. A potential crisis made more pressing since the Allied populations are war-weary and the United States must still deal with the Japanese. Even as Goebbels and Eisenhower make decisions and take actions that will either extend or shorten World War II, numerous normal grunts are caught up it all. Heroes like new O.S.S. operative Ernie Janek, commando Captain Scott Tanner, and Jewish Czech Lena Bobek. Each of these people doing their individual part in trying to destroy the menace of the Nazis before it can hide itself in the Alps and begin to fester in the rugged heart of the European continent. Like all Conroy’s novels, this story uses a blend of historical figures like Josef Goebbels and Dwight Eisenhower, regular military grunts, and some war-time romances to move the plot forward from beginning to its ultimate end. There is tons of military action; most of it plausible and well thought out. And, for military history enthusiasts, this is a serviceable and entertaining novels, but it does have problems. My main criticism of Germanica is that it lacks any real suspense and has a cast of cardboard cutout characters. The narrative progressing from point a to point b just as you’d expect with the good guys doing good things at just the right time to save the day and the bad guys doing bad things at the wrong time to help cause their inevitable defeat. That sort of simple story isn’t a bad thing necessarily – if the author provides a few twists to liven things up. Conroy, however, does not do that, and the story suffers for it. To sum up, as his final alternate history work, this isn’t Conroy’s best, but it is well worth savoring by his fans – if for no other reason than to pay respects to a wonderful writer taken too soon from this world. I received this book from Baen in return for a honest review. The opinion you have read has not been influenced by anyone and is my opinion alone. 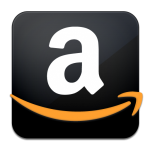 This entry was posted in 3 Stars, Alternative History and tagged alternate history, best alternate history authors, best alternate history books, Germanica, Nazi National Redoubt, Robert Conroy, WWII alternate history. Bookmark the permalink. Probably would have crossed their minds eventually.